They’re back! A selection of your favourite titles from the bestselling Aussie Nibbles series, returning by popular demand with a fresh new look as Puffin Nibbles. Loved by kids, parents and teachers, these engaging stories are ready to delight a whole new audience of emerging independent readers aged 6–8 years. Nicholas Nosh is the littlest pirate in the world. H’s not allowed to go to sea, and he’s bored. Very bored. 'I’ll show them', he says. 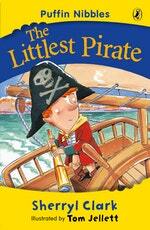 Love Puffin Nibbles: The Littlest Pirate? Subscribe to Read More to find out about similar books.